:: It is not necessary to use a giant package for the delicate mosaic...but it is important that it is immobile and rigid. A mailing envelope that's only a bit larger than your mesh mosaic. If it has padding or bubbles, even better. 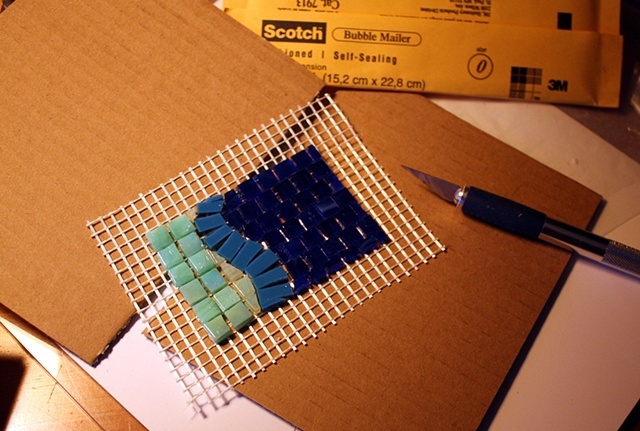 2 pieces of rigid cardboard cut at least 1/2" larger than the mesh edge of your mosaic.